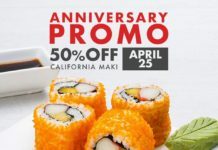 Home Food & Beverage DIN TAI FUNG PORK XLB FOR ONLY PHP55! DIN TAI FUNG PORK XLB FOR ONLY PHP55! The Moment Group’s 5th birthday wouldn’t be complete without a special birthday menu. 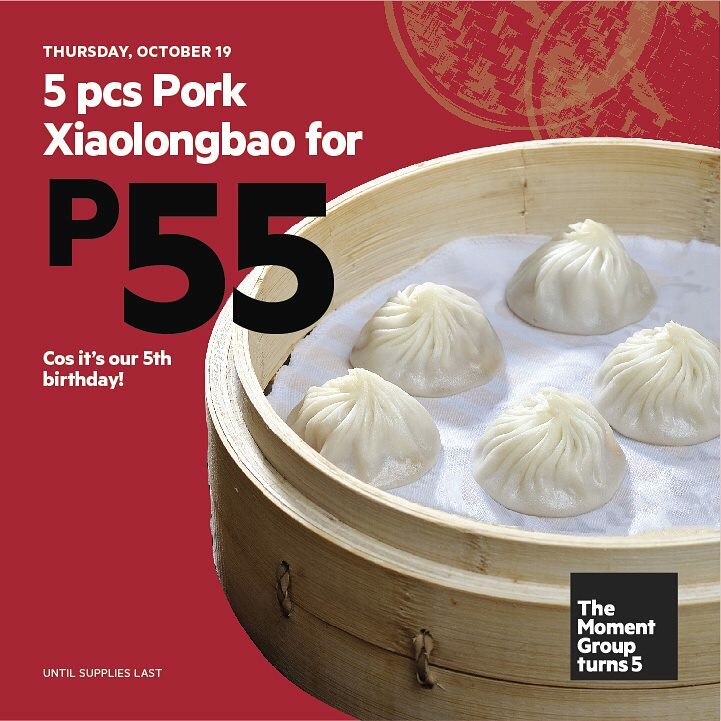 On October 19, enjoy Din Tai Fung’s Pork Xia Long Bao for only P55! 1. 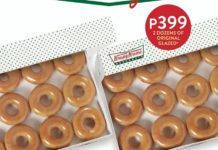 Promo will run for the whole day or until supplies last. 3. 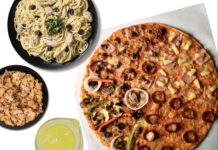 Maximum of 2 orders per person. 4. Not valid in conjunction with other promos and discounts. 5. Party needs to be complete before they can be seated. Previous articleTODAY ONLY: 8CUTS GRASS FED CHEESEBURGER FOR ONLY PHP55! Next articleManam Small House Crispy Sisig for Only Php55!